CommunicationNews, Gallery, Articles, Publications, etc..
His Holiness Pope John Paul-II, erected the eparchy of Thamarassery on April 28th 1986,by the Apostolic Constitution Ad perpetuam dei memoriam bifurcating the Diocese of Tellicherry. The Patroness of this eparchy is St Alphonsa. Only this eparchy has the unique privilege to have an indigenous patroness in Kerala. 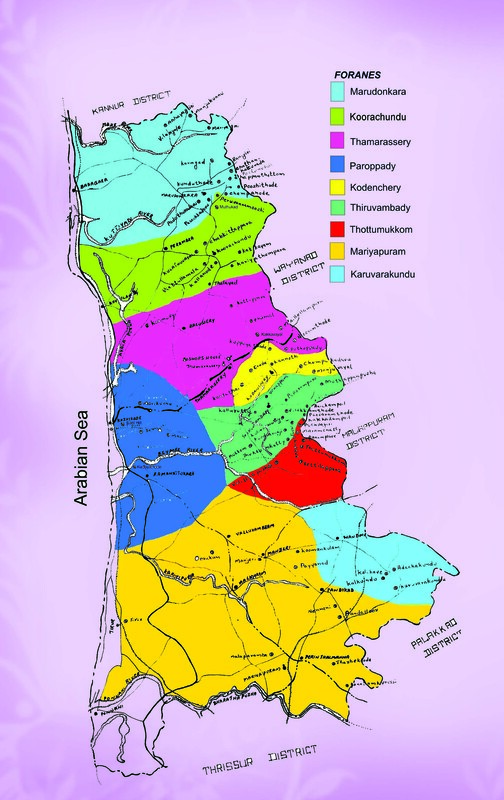 The eparchy consists of two revenue districts of Kozhikode and Malappuram, in the Northern part of Kerala. The Catholics of this diocese are the migrants from the central part of Kerala. Bishop Mar Sebastian Mankuzhikary, the then auxiliary Bishop of the Arch Diocese of Ernakulam, was appointed as the first Bishop of Thamarassery by the Apostolic Constitution Pro munere nostro de singulis. The eparchy of Thamarassery was formally inaugurated and the Bishop took charge of the eparchy on July 3rd,1986, on the feast of St.Thomas, at the Sacred Heart Church, Thiruvambady. On June 11th,1994 he was called for the eternal reward. On June 14th, 1994 Msgr.Francis Aruparayil, the then ProtoSyncellus was appointed as the administrator of the eparchy. Bishop Jacob Thoomkuzhy, the Bishop of Mananthavady was appointed as the Bishop of Thamarassery on June 7, 1995 and took charge on 28th of July the same year. He was nominated as Archbishop of Trichur on Nov.11th, 1996. Bishop Mar Paul Chittilappilly, Bishop of Kalyan, was transferred and was appointed as the Bishop of Thamarassery on November 11th, 1996 and took charge of his office on Feb 13th, 1997. Mar Remigiose Inchananiyil is nominated as the Fourth bishop of Thamarassery on 18 January 2010 by His Beatitude Cardninal Mar Varkey Vithayathil the Major Archbishop of Syro Malabar Church and Consecrated on 8th April 2010 by His Grace Archbishop Mar George Valiyamattam at Pullurampara Bethania Retreat Center. Mar Sebastian Mankuzhikary (The First Bishop) More..
More About Mar Sebastian Mankuzhikary. Bishop Sebastian Mankuzhikary was born on March 2,1929 at ThannirMukkom, Alapuzha district in the Archdiocese of Ernakulam. He joined the Sacred Heart minor seminary, Ernakulam in 1945. He was ordained priest on March12th, 1955 by Mar Joseph Parekkattil, the then auxiliary to Grace Most Rev.Dr.Augustine Kandathil, Metropolitan Archbishop of Ernakulam. On November 15th1969 he was nominated auxiliary to His Eminence Joseph Cardinal Parekattil. On April 28,1986 he was appointed the first Bishop of newly erected eparchy of Thamarassery and he assumed charge on July 3,1986.On 11 June,1994 he was called for his eternal reward by the Heavenly Father. Mar Jacob Thoomkuzhy (Second Bishop) More..
More About Mar Jacob Thoomkuzhy. Mar Jacob Thoomkuzhy is an East Syrian Catholic Arch Bishop Emeritus and the second Metropolitan Archbishop of the Syro-Malabar Catholic Archdiocese of Thrissur in India. He was born at Vilakumadam in the Eparchy of Palai on December 13, 1930. He did his education at Thiruvambady in Kozhikode. Mar Paul Chittilappilly (Third Bishop) More..
More About Mar Paul Chittilappilly.